An afternoon of pastries and coffee at Starbucks in Camp John Hay Baguio City. 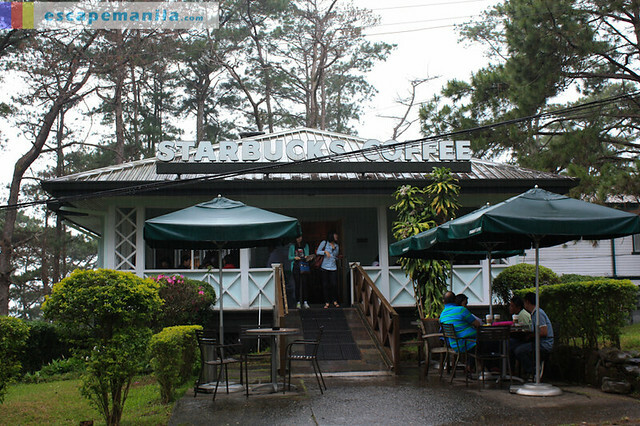 It was a cold and rainy afternoon when we headed ourselves to Starbucks at Camp John Hay to have our afternoon snacks on the first day of our Baguio Food Tour. Starbucks at Camp John Hays is not your ordinary coffee place. The structure itself is very interesting as it looks fancy and laid-back. The place is surrounded with pine trees so it felt refreshing. Starbucks at Camp John Hay is an ideal place to hang out with friends while drinking your favorite coffee blend. Coffee is best paired with pastries so we were happy to hear that Divine Sweet Delights is sending us a customized super chocolate cake and cupcakes to sample. We definitely love their pastries. 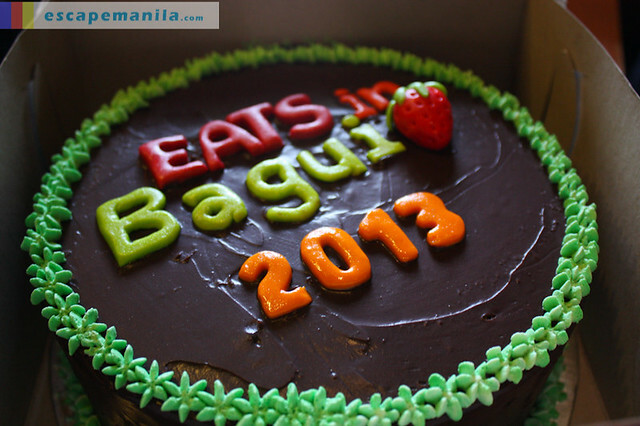 The super chocolate cake had a customized design with Eats in Baguio 2013. It looks really delicious and it tasted really good. My personal favorite was the Carrot Cupcake with Walnut and Cream Cheese Topping. 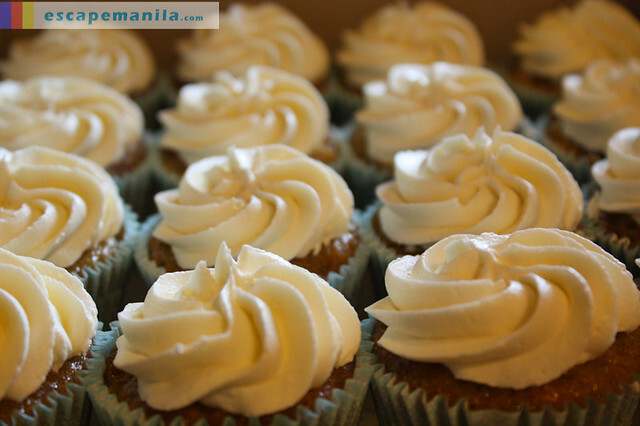 The cream cheese perfectly complements the freshly baked cupcake and the crunchy walnuts. To see more of Divine Sweet Delights pastries, follow them on Instagram and Facebook @divinesweetdelights. Disclosure: Starbucks and Divine Sweet Delights are partner-establishment of #BaguioFoodTour2013.